So, I won’t repeat myself this time, I promise. I will say something new! The races have really heated up, there is a tie for the best pattern book (won’t say which books are tied), there is a tie in a designer category, and for best hooks by a corporation my goodness that’s a hot race! (Anyone remember last year? Remember it was separated by one vote? Keep that in mind. 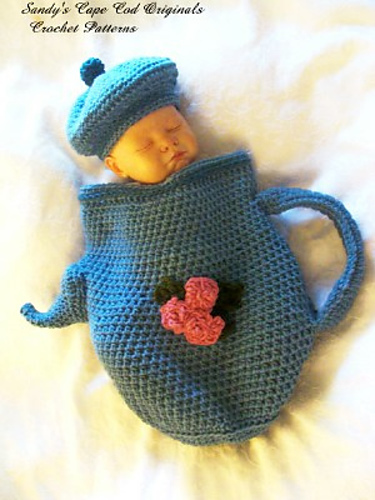 ), oh and for most Crochet Friendly Yarn Company? Phew, that’s a tight race. So if you have strong opinons on any of those topics make your voice count, make your vote count and vote today or tomorrow or up until March 22, 2010! One of the things I love most about the Flamie Awards is how they empower not only our designers, which of course was a part of the plan! Yet, one of the best things, is that we the crochet public (which frankly the designers belong to) are able to succinctly say what we like and want in our designs, patterns, and how we are served. Instead of railing against the machine, we are proactively awarding that of which we approve. That my friends is golden! So without further ado or soap boxing by yours truly, lets get on to the nominees for Best Designer 2009, Children’s Wear (Accessories & Toys as well). 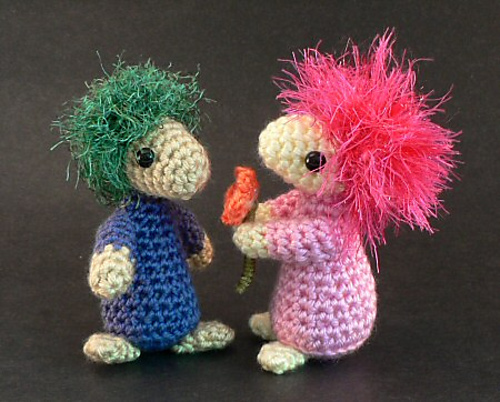 Nomination suggestions for the 2010 Crochet Awards, The Flamies (sponsored by The Crochet Liberation Front), are now closed! Thank you to everyone who took the time to nominate their favorites in the many categories. I will be adding a few names here and there upon my fearless leadery-like whims, and then the voting shall begin in earnest! Stay tuned for more information right here at the CLF Blog! 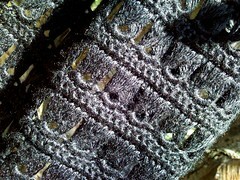 Art Deco Scarf absolutely Sets My Picot Free! Broomstick lace is one of my favorite techniques because it can be so very visually appealing. It’s not a difficult technique to master,and once you get your feel for it, you can whip out stunning projects that have delicate and airy feel, and yet a real solid integrity! I love what Figpox did in chosing the colors of the yarn, and the content absolutely is a perfect choice for this kind of construction! Congratulations Figpox, you are a winner! Consider yourself awarded the Set My Picot Free Award for outstanding crochet composition! After running a message board and a world wide group of crochet enthusiasts you so can’t tell me you don’t have opinions! I know you have them, and I know you have a lot of them! We’re all about being practive in the CLF, and so I ask you to PLEASE PLEASE PLEASE if you are a CLF Member go to the Ravelry.com group we started just for nominations for the 2010 Crochet Awards…We have Flamies to give out next year, I will start the voting process in January, so we can be fully prepared to do the award ceremony in March of 2010! Do you have to nominate in every category? Nope. Do you have to be an expert to nominate? Nope. Can you nominate your friends? Yup. Talk about fashion forward, CLF member Vashtirama (aka Vashti Braha) sets all of our picots free with this design! What’s more? 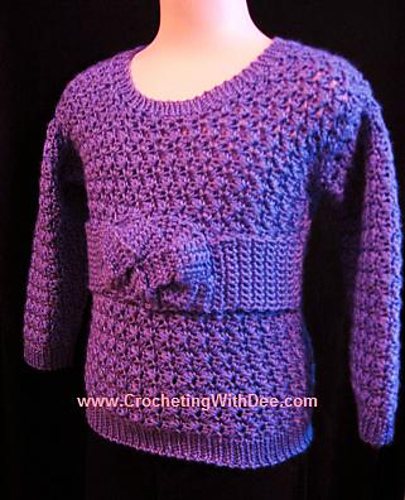 This fantabulous jacket, is a free pattern from Caron International! 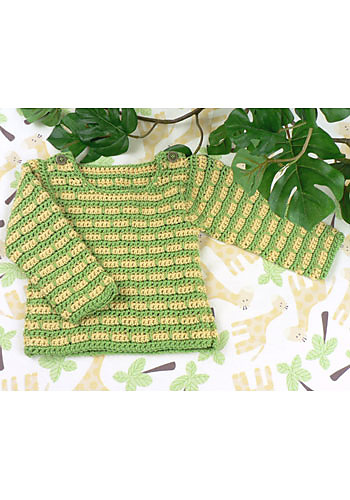 And was published in Naturally Caron. Check it out! Vashtirama consider yourself duly awarded with the Set My Picot Free Award for crochet excellence and phenominal fashion! See more of Vashti on her blog, or follow her on twitter as @vashtirama and on Ravelry.com as vashtirama. 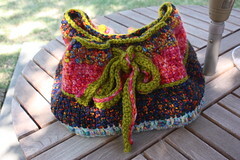 I love Arielart’s use of texture and color in this bag, and so it is duly awarded the Hookalcious Award for outstanding displays of funk-tional and beautiful crochet!